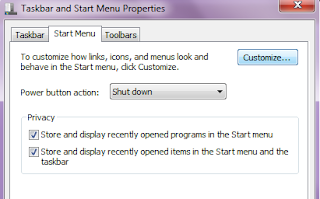 1) Right click on the Start button and click on Properties. 2) Now in the new window select the Start Menu option and click on the Customize Button. 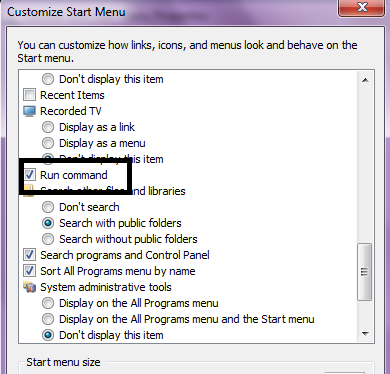 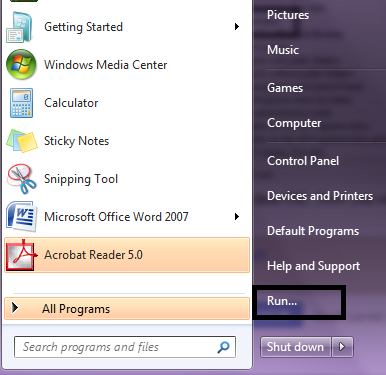 3) Scroll down the new open window until you find the Run Command option and click on the the check box and then OK.
4) Now click on the Apply button and then OK. Now you will have Run Button in your Start Menu.